Finally, the snow we’ve been waiting for has arrived! Although we technically had a white Christmas, there’s been little snow on the ground this winter. Until this week. I’m not saying I like winter. In fact, I’d more or less say I don’t like winter. You’ll never hear me complaining about the humidity in the summer or the shortening days in the fall, mostly because I’m so grateful for the humidity or the darkness instead of icy sidewalks and fourteen layers of clothes. 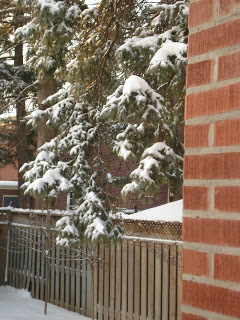 But even a non-winter fan like me appreciates the beauty of a fresh snowfall. I loved being one of the first ones outside in the morning, when the sun was just beginning to rise. The snow was still undisturbed and lay in soft mounds, undulating like ocean waves frozen in place. Later in the day, my teenagers went tobogganing, and I greeted them back here with hot chocolate topped with bobbing marshmallows. Still the beauty doesn’t compensate for those icy sidewalks, and for the slushy roads and needing extra time to scrape the ice off my windshield. For wet boots leaving puddles in my front hall, and finger-numbing temperatures. And (for long-suffering hockey fans) for the dreary ennui of the Toronto Maple Leafs losing yet another game. January and February usually find me longing for warmer days. And I think that’s why this dessert appealed to me. These lime cheesecake squares taste like summer. No, they are summer. 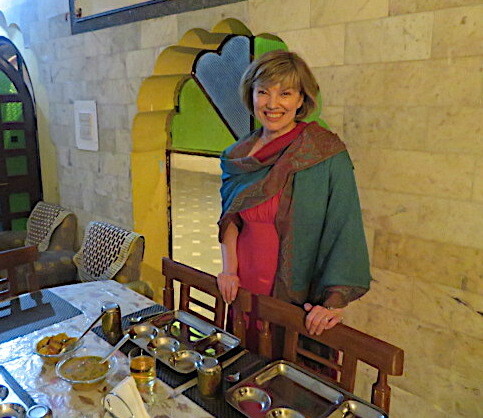 When I closed my eyes and bit into them, for a few minutes I wasn’t in Toronto in a snowstorm, I was in ancient Persia, reclining in a hammock in a palace courtyard. Not bad, for an investment of a few minutes in the kitchen. Preheat the oven to 350 degrees. Line a 9 inch square baking pan with parchment paper. In a mixing bowl, whip the condensed milk, cream cheese, egg yolks and lime juice until smooth. Pour filling over the crumb crust. Bake for 25 – 30 minutes. Chill for at least 4 hours before serving. If desired, top with remainder of crumb mixture. My sisterinlaw makes these bars and they're wonderful! As for the snow, here in Colorado we got snow last April and May…the worst of it didn't come until March, so we've got a bit of winter left (the good news is that it melts quickly). If you want any extra snow, you are more than welcome to come to NYC! We have plenty. I love the sound of these lime bars! Definitely a great way to imagine you're actually in a tropical location…even when it's frigid out! Joanne, I know you guys have had a ton of snow in New York. At least now you seem to be getting your garbage picked up! And Jess, that's high praise coming from you. You are a wonderful writer! Thank you! We have had lots of snow this year and we don't usually have all this much snow, so I am holding you responsible…you must be sending it down here!!! Love the idea of lime cheesecake bars…oh, yeah! I do miss fresh snowfalls. Living in Texas has meant warmer winters (which overall, I love) but there is something magical about awakening to a world blanketed in snow. Thank you for sharing your pictures…and for sharing those bars! They do seem like a bite of summer! But I understand that every now and then, a good snowfall makes the world look magical and serene. My mouth is watering. Yum!!! Thanks for the recipe. I hate icy roads and extreme cold. 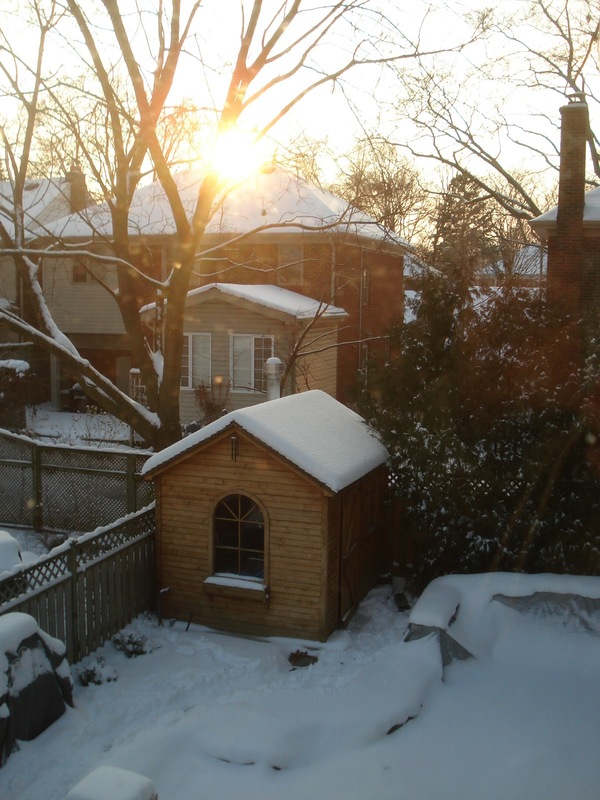 I've always loved winter, but this year….I think I'm looking forward to spring! I'm ready for Persia. Two months of winter – with 2-1/2 months left to go has me craving a warm hammocck – and your lime cheesecake bars. This was such a beautiful idea to bring summer in the middle of winter with these elegant cheesecake squares. Hang in there spring is on its way. My runny allergic nose has given me the signs. I'd like a bit of summer…I wish I could zap a few of those dessert squares into my hands right now. Grrr. Why don't technology catch up with my stomach? Lovely fresh squares and I love the snowy, pretty photos! I know snow is probably a big pain realistically, but I am always envious of snowy places and would love to live somewhere like that one day! Oh yes, nothing like snow looking all white and blankety–as long as you're inside and don't have to drive in it! Here in Oregon, we're just having rain. And more rain. And hey, when can I come over for some of that cheesecake? What?–I have to make it myself?? Oh. Thanks for the recipe. Sounds uber-yummi-icious! I love cheesecake. I enjoyed reading your account of the not-so-fun travel experience and blessing at the end–getting your book published! It's not just the food that takes me away from the moment at hand. You've given me something to dream about. Sweet success. what a fun blog, and those bars look delicious. i don't like winter either, but i hate summer in the desert even more, so we're moving to Montana. must be a little crazy. thanks for stopping by my blog. These will bring a little bit of summer sunshine into anyone's life! I love sweet and tart flavors together! These are lovely. I completely agree – there's just something about snow (when you can view it from the comfort of your living room) that's absolutely beautiful. The moment I have to leave the house, my heart breaks. This looks like a sweet way to brighten up your day. I always enjoy a nice batch of cheesecake, and even better with zesty lime! Stay warm! 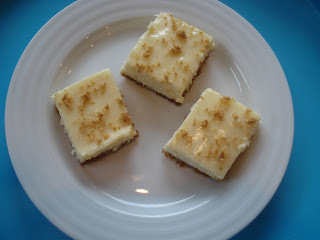 I love key lime pie and cheesecake, so I KNOW I would love these bars! Your snow sure LOOKS pretty:) Hang in there, Beth! Oh yes, this is definitely reminiscent of warmer times. I love the snow. 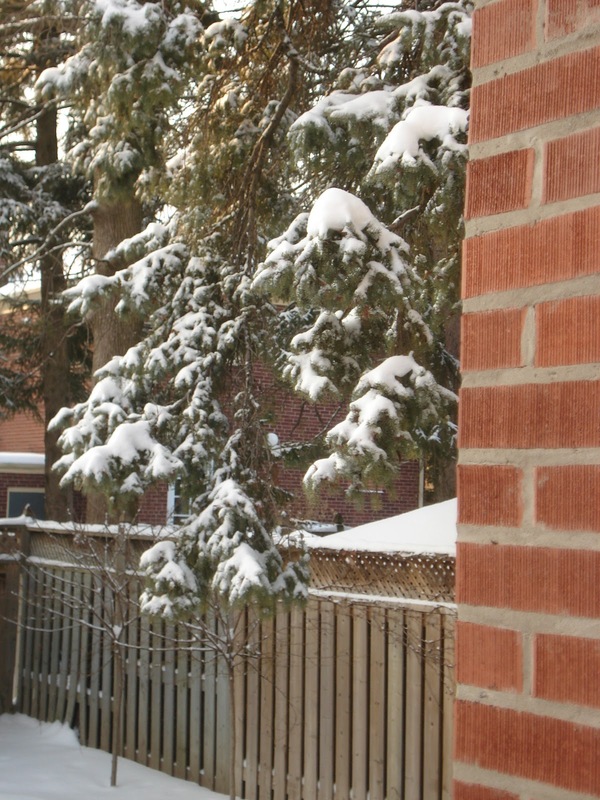 How about this, I send you our Calgary snow and you send those cheesecake squares? Those are lovely pics, especially the second one. The lime cheesecake looks delicious. Totally agree, snow is just so beautiful but hard to live with!!! My mouth is watering at the thought of that delicious lime cheesecake. I can say that I don't mind winter only because I get a break from garden duties for at least 5 months out of the year (back breaking work, pulling them weeds!). The only negative about snow are the small puddles all over the place when our 2 dogs come running in after playing, rolling, and rough-housing in the white stuff. If only they could shake it all off BEFORE them come into the house! I am the same. Love the snow but don't like to deal with it. Good thing hubby does the shuveling and the whole deal. The cheescake looks divine Beth. I am in the mood for cheesecake and it's 11:09 AM! I love the winter, you'd definitely hear me complain in the summer 🙂 The fresh snow is so pretty, great pictures! And what a lovely way to endure a bug snow, with such delicious bites! No wonder you like the lime….definitely summer flavors! My two favorite desserts are Key Lime Pie and Cheesecake. What a perfect mix of the two in one easy to whip up dessert! We are in northern Ontario and going through a deep freeze; past 4 nights it has been going down to – 25 and with the wind you really don't want to know. love those lime squars bringing summer tastes to our palate; great photo. I'm with you. I like the beauty of the snowfall, but I do not like the cold nor driving in the snow. I just tolerate winter and hope for spring! Especially after shoveling five inches of snow off my driveway today! That recipe looks yummy. My oldest son would just love it! Love your lime cheesecake squares. They sound wonderful. I love the look of snow too! If we have to be in winter…at least we can have some pretty snow. I've spent most of my life in the South of the US, but have been in NE Iowa for the last two years….This year has been mild compared to the last two years. I don't mind the winters too much, but I miss the summer sun, heat and humidity…. Your lime cheesecake squares looke divine! I'll take ancient Persia thanks 🙂 Actually this is a timely post, I just bought a bucketful of limes (couldn't resist a bargain), and there are only so many mojitos one can drink. I'll be making these very soon I'm sure. Ooh, yum. Those look delish! And my brother, who lives in TO just tweeted me how he can already hear the tires spinning on the ice on the street outside his home, lol. Believe it or not, I actually miss home! That's exactly how I feel about winter. Pretty to look at but not fun to live in. The bars look like a perfect escape. I am always cold…in California…so I sympathize on the wearing of 14 layers of clothing. And snow is very, very lovely to look at – but maybe not so nice to trek through! On a more positive note, your lime cheesecake looks delicious, a really great way to brighten up a cold day. Very nice to meet you! These lime bars look delicious! Your cheesecake squares look amazing. Beautiful pictures. I can see the upside and definite downside of snowfall. Still lovely though. I dig the way you described these cheesecake squares, I' felt like I was right there in Persia too. I would be happy to experience the snow for a few days, at least for some photography! These cheesecake squares are a perfect reminder of summer and sounds like a slice of heaven. These look delicious!! I love to look at the beautiful snow, as long as I can be inside. We've been pretty lucky here this year. Only one real snow so far. It's crazy cold but not a lot of snow. Stay warm! These look amazing, and I can make them without the oven working! One problem–we can't get Graham Crackers here. Can you describe what they're like? Are they sweet or plain? I'm trying to work out what might substitute! I'm with you on the downside of winter. What a great idea to make a summery dessert!